Are you looking outside of yourself for validation and happiness? 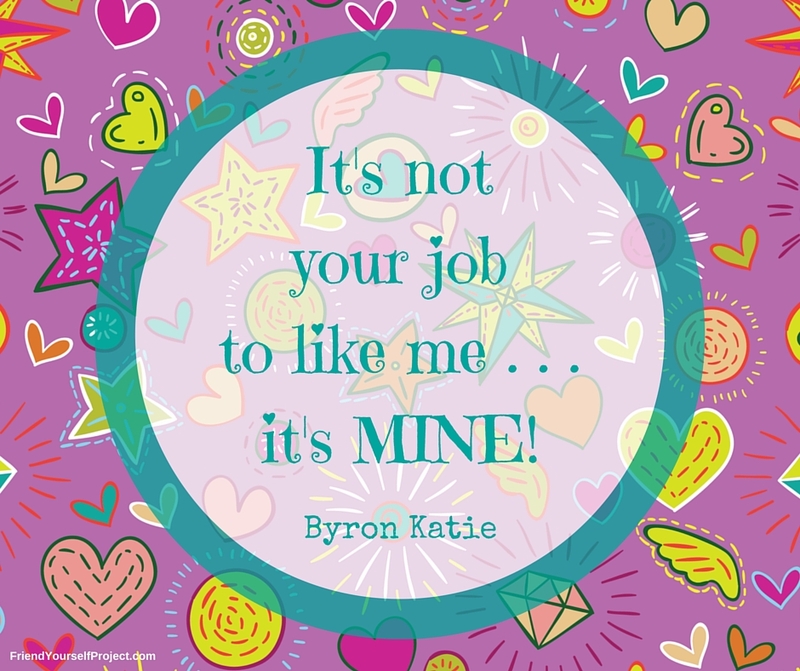 Do you let the opinions of others determine if you are happy or not? If so, you’re not alone! And, it’s probably not working too well for you. Take control of your own happiness by being a friend to yourself. When we depend on others for our happiness, we set an impossible task for ourselves. You really have no control over the happiness of others and if you depend on others for your happiness, you have no control over your own happiness. On the other hand, if you try to make yourself happy instead of everyone else, you know that at least one person will be happy. Make the commitment to owning your own happiness by being a friend to yourself. Ask yourself, as your own friend, how can you make yourself happy? The first step in being a friend to yourself may be to learn to look after yourself and put your needs first, without feeling guilty. Are you someone that caters to the needs and wants of everyone else? Has it left you feeling exhausted and resentful? It may be time to set stronger boundaries for yourself and exercise your right to refuse the requests of others. Before jumping in and rescuing others, ask yourself what is the best course of action for you to take? Pay attention to the “shoulds” – they’re often a clear signal that you’re doing something out of a sense of obligation or guilt. Learn to say no, clearly and simply, without lengthy explanations or excuses. Another step in being a friend to yourself is to learn to praise yourself and enjoy your efforts and successes. If you wait for someone else in your life to do it, you will probably end up feeling resentful when they don’t notice or care. Be your own cheerleader and congratulate yourself for both your large and small efforts. If you feel called to compare yourself to something, compare yourself to an earlier version of yourself rather than to someone else. Make a habit of patting yourself on the back! As your own best friend, meet your own expectations. Hold yourself accountable to the promises and commitments that you make to yourself. As your own best friend, enjoy the liberty of choosing the way you want to spend your time. Make yourself someone that you can be proud of. Take control of your own happiness by learning to treat yourself as a friend. Take the time to change, grow, explore, and comfort yourself in ways that no one else can. You and those in your life will all enjoy the benefits of this!